It is official I am obsessed with cute packaging. I have realized Iam okay with paying more when a beauty product is fancily packaged. 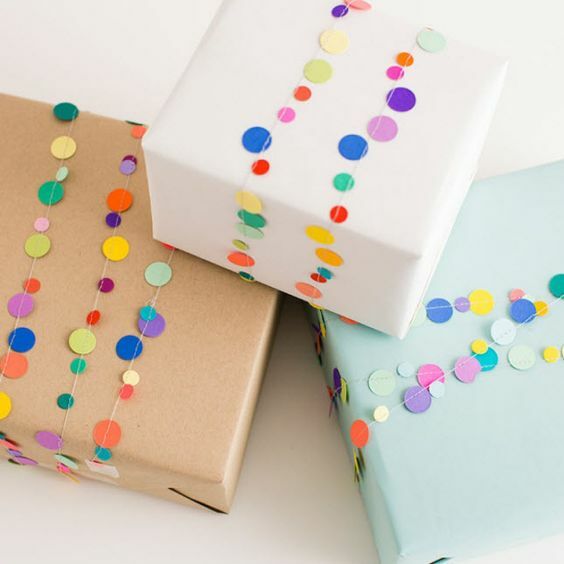 After exploring creative ideas to wrap gifts with a newspaper I decided to put together a list of wrapping ideas for kids. 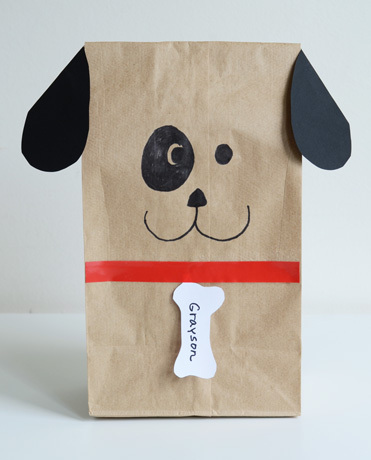 Kids love things to be cute and for them it is important to keep a present fun on the inside and the outside too. My little one jumps in joy when a courier boy arrives home with packages from Flipkart or Amazon even if the boxes contain my apparel . He loves opening these boxes with me and playing with bubble wraps and I am sure he will feel very special if I wrap his birthday gift a wee bit more interestingly. 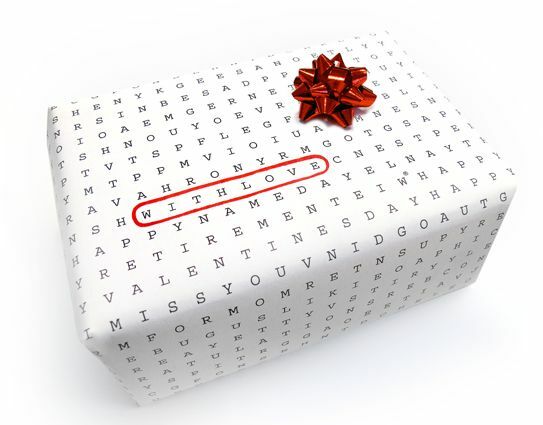 You can use creative wrapping paper like emoji wrapping paper for kids presents . If you cant find cute stuff like this around your place then you can try these fun DIY ways to wrap a gift for it to look adorable. These wrapping ideas dont require any special materials and you can use stuff already in your home and exersice your creative cells a wee bit. Iam posting this today because it is childrens day but ofcourse you can use these awesome ideas to wrap gifts for birthdays or even Christmas presents. 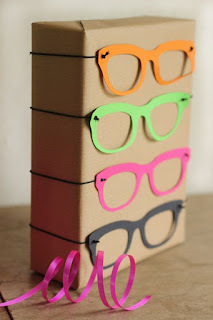 Cut out some colourful paper sunglasses and create holes on the ends to thread in elastic . 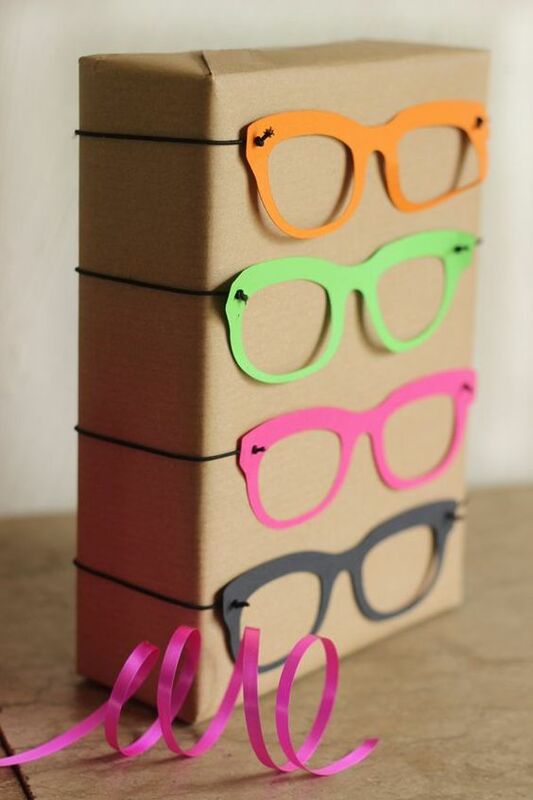 Fit these sunglasses around gift box wrapped in plain paper. My kid loves The movie Madagascar and can stop talking about Alex the lion. 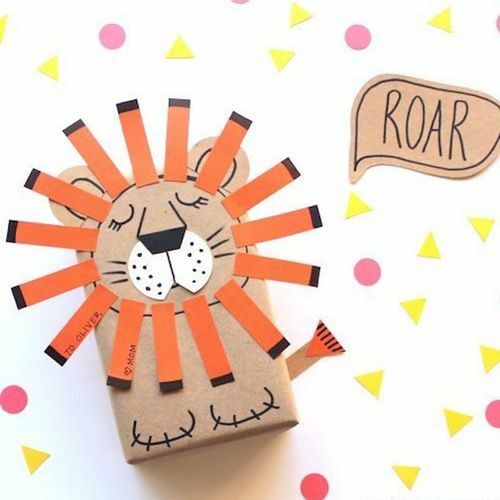 This sleeping lion Gift wrap idea is sure to get him excited. 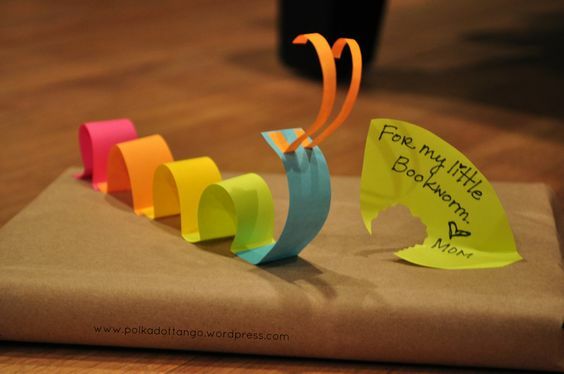 I am so going to try this for his birthday which is coming soon. 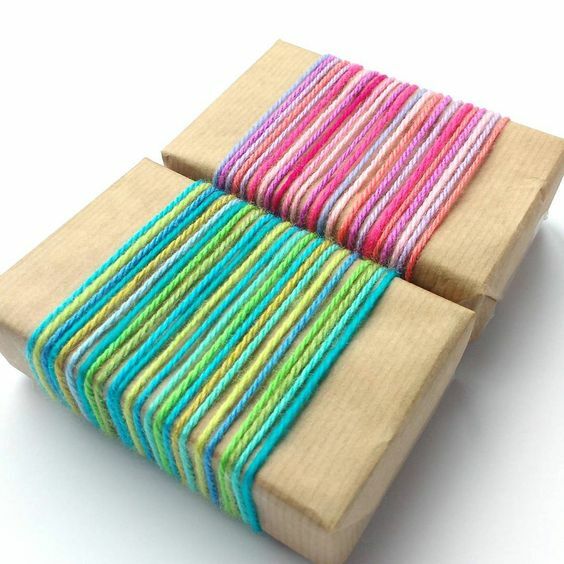 Just use colourful wool to wrap around a wrapped present. 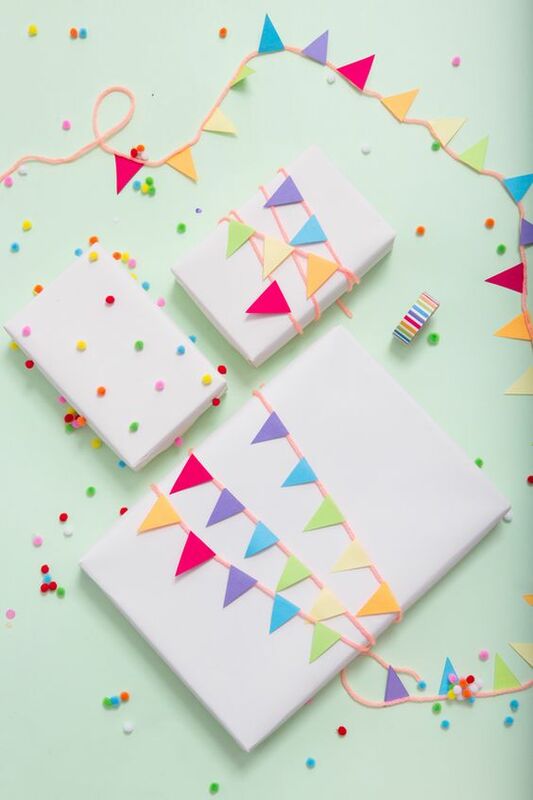 This is such a cute gift wrap idea for little girls. 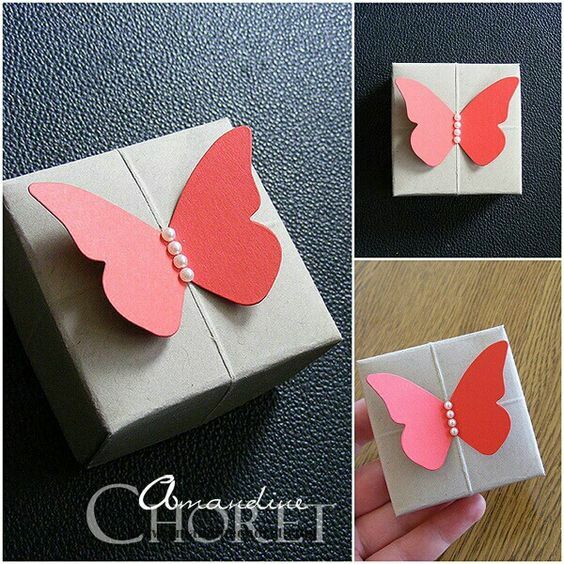 Infact forget kids if someone gave me something wrapped this prettily, Id never open it to see what is inside. 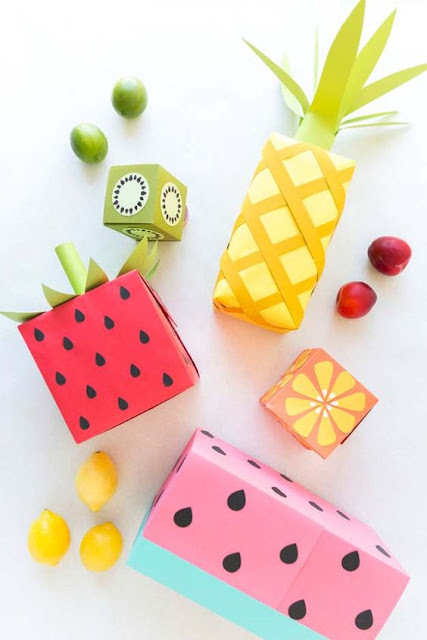 So, are you ready to make wrapping more fun for your kids?